In his position as president and CEO, Akira Kusakabe’s efforts focus on defining the strategic long and mid-term strategic goals of the company, aligning the goals and objectives of Hitachi Systems Security Inc. and Hitachi Systems, Ltd., meeting Hitachi Systems Security growth goals and expanding its global reach to become a globally recognized leader in the information security space. 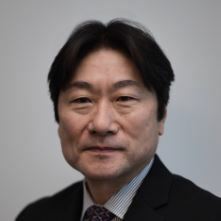 Akira joined Hitachi, Ltd. in 1983 and has since accumulated over 30 years of experience in corporate management, sales and marketing, information and communication technology. He played a large role in helping to grow Hitachi America and Hitachi Mexico, and he served as CEO of Hitachi Group Companies in South America at Hitachi Brazil. As Chief Financial Officer, Satoru Kino is responsible for overseeing Hitachi Systems Security’s global finance and treasury-related activities, and ensuring alignment with Hitachi Systems, Ltd., a wholly owned subsidiary of Hitachi, Ltd.
Satoru joined Hitachi Systems, Ltd. in 1987 and has since accumulated over 25 years of experience in finance and accounting, cash management and treasury. Throughout his career, he has supervised a wide array of finance and accounting activities, including business strategy, budget planning, financial reporting, tax filing, control and procurement, payroll and funding. Daniel has acquired over 25 years of experience in the IT industry. He has been involved with Hitachi Systems Security since 2004 and now acts as Chief Operating Officer, overseeing all managed security and professional service operations as well as IT and governance. During his career, he has received several information security industry certifications such as CISA, CISM, CISSP, PCI QSA and ISO 27001 LA. Prior to this, he mainly occupied management positions in either software firms or consulting companies. Daniel is an experienced leader who adheres to the new school of management with its emphasis on empowerment and coaching. He worked for the MEI Group in different management roles as well as for Correctional Services Canada as Regional Chief of Information Technology. In his position as Chief Risk and Compliance Officer for Hitachi Systems Security, Anthony is responsible for overseeing the effective management of risk and compliance within the company, ensuring that the company is complying with legislative requirements, internal policies and procedures; and management is operating within the defined Risk Appetite Statement in its operations and in pursuit of organizational strategies. Anthony has accumulated over 10 years of experience at senior/ executive management level and over 35 years of experience in the banking industry. Prior to this current position, Anthony was the Chief Risk Officer at Republic Financial Holdings Limited. 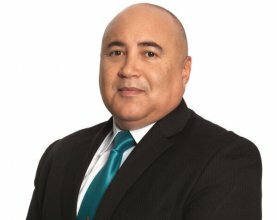 Anthony specializes in Strategic Planning, Operations Management, Business Process Re-Engineering, Enterprise Risk Management, IT Operations, Operational Risk Management, Project Management, IT security, Business Continuity Management, Corporate Security, Anti- Money Laundering Compliance, and Internal Audit. In 2013, Anthony earned a Master’s degree specializing in Leadership and Innovation, from the Lord Ashcroft International School of Business, United Kingdom. He also holds a Diploma and Higher Diploma from the Institute of Management Information Systems, Surrey London, an Executive Diploma in Business Management from, Institute of Business, Trinidad; a Certificate in Strategic Project Management from the University of Florida; and Project Management Professional (PMP) accreditation from the Project Management Institute, USA. Anthony is a member of various professional groups and associations where he contributes his knowledge including the Project Management Institute (PMI), Institute of Internal Auditors, Board and Advisors, Chief Audit Executives Group, Internal Audit Professionals, Chartered Institute of Internal Auditors, and the Enterprise Risk Management Group. Anthony sits on the Advisory Board of the Trinidad and Tobago Risk Management Institute (TTRMI) and the Board of Directors of the Caribbean Institute of Security and Public Safety (CISPS). Anthony represented the Bankers’ Association of Trinidad and Tobago in the development of the country’s first cybercrime/attack policy and response plan. He also develops and lectures on accredited project management programs of the Project Management Institute, and Enterprise Risk Management at the Arthur Lok Jack Graduate School of Business, Trinidad and Tobago. Ray Georges Chehata, President and CEO, Hitachi Systems Security U.S.A.
As president and CEO of Above Security from 2010 to 2016, Ray led the development and execution of the company’s long-term strategic plan. He now manages the overall strategy and direction of the company’s U.S. division. His commitment to the organization and its employees, as well as his focus on customer relations, played a significant role in Above Security’s acquisition by Hitachi Systems, Ltd. in October 2015. Ray is a strategic leader with a long track record of turning promising businesses into thriving ones. Over the span of a dozen years, Ray led the turnaround teams at numerous companies, where he was instrumental in entering new markets, increasing revenue, and conducting mergers and acquisitions that delivered value to shareholders. Prior to Hitachi Systems Security, he worked at the Bank of Montreal for 10 years, where he held senior positions, including the bank manager. Patrik Heuri advises and supports the company’s clients to ensure they implement risk management and develop data leak prevention frameworks properly. 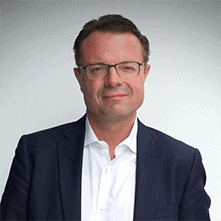 Prior to joining Hitachi Systems Security, Patrik was the global head of information security risk at HSBC, where he was responsible for creating a medium- and long-term risk strategy in information protection for the private banking division. During his time at HSBC, Patrik played a large role in successfully mitigating the damages of Swiss Leaks. As General Manager, Arlethe Hernández is responsible for managing the business operations of Hitachi Systems Security Mexico in order to drive growth to the company’s new Security Operations Center in Mexico City. With over 12 years of experience in leading IT corporations, Arlethe is a seasoned business development executive with a deep understanding of the IT and cloud industries, who is valued for her skills in organizational planning, customer relationship management, pipeline management and project management. Prior to Hitachi Systems Security Mexico, Arlethe was the Business Development Director for Grupo Novandi – Microsoft Business Partner, the General Manager of Aralcom and held several executive positions in the business development divisions of Microsoft Mexico. She has a Master’s degree in Information Technology Management and Administration, a Bachelor’s degree in Computer Systems for Management and Administration, and currently pursues a Master’s degree in Ontological Coaching. Smart Car Security Threats: Is the Connected Car a Good Idea?